With my enthusiasm level running on empty this week, and since I’m learning to take cues from my feelings, I encouraged myself to disengage from my regularly scheduled life. 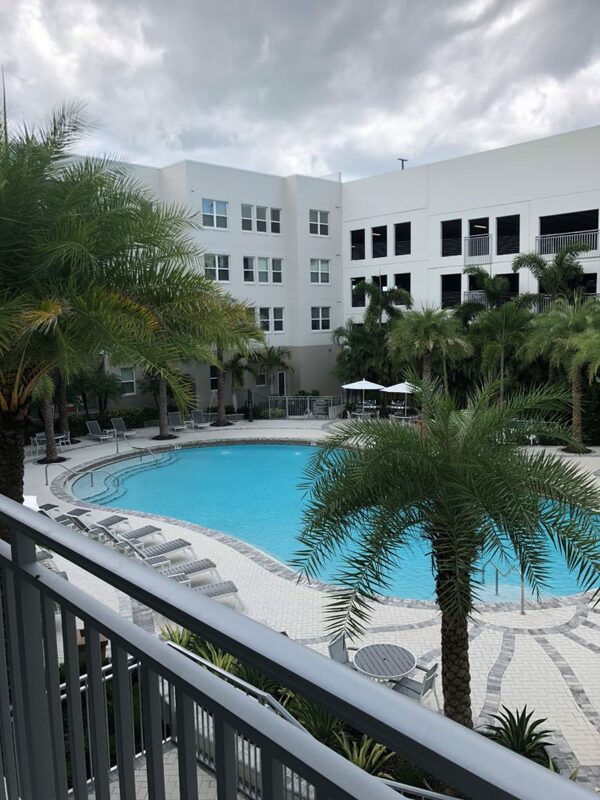 My office looks out over the apartment pool, and I love seeing the palm trees sway and hearing the soothing drip of the water spray. The office view – but on a cloudy day, the chairs are empty! I look, but I never venture OUT there during the week. I’m something of a machine when I’m in work mode, and I don’t take kindly to interruptions when the highlight for me is crossing off items from my “to-do” list. It was lunch time, though, and I was weary. Nothing on that “to-do” list beckoned me. So I broke from tradition, put on a swimsuit, grabbed a towel and sunglasses, and gave myself a half-hour to refresh. Within five minutes, I was sound asleep. Those of you who know me understand that I am a world-class napper, and can zonk out in even an upright position. After what was about 15 minutes, I felt a tickle on my foot. It was as gentle as a feather, and I didn’t awake with a start. No, it was more like a sleepy eye-opening that revealed the culprit. The most adorable three year old boy in the history of forever. I actually thought HE was a SHE at first, because his hair was halfway down his back, all black and curly. He was trying to get from his mom’s chaise lounge to his dad in the pool, and I was in the way. So he held on to my foot to find his own footing. When I looked at him, he just grinned. I then observed him splashing with abandon, and I couldn’t help but smile. Next, a family with four little blonde babies came strolling in. Three were little girls with bows in their hair to match their swimsuits…and Jack. Once he was fully entrenched in his safety gear, he proceed to jump. Up and down. And up and down again. Then into the pool, squealing with joy. This was pure, childlike enthusiasm. Jack flirted with me as he splashed around the pool, knowing he had me at hello with the mischievous glint in his eyes. But he didn’t know how he affected my heart. Oh, to return to that place of childlike glee! Did I ever even have it? I remember being so self-aware of my 100-pound self as a child, I don’t think I ever HAD a moment that I wasn’t self-conscious. 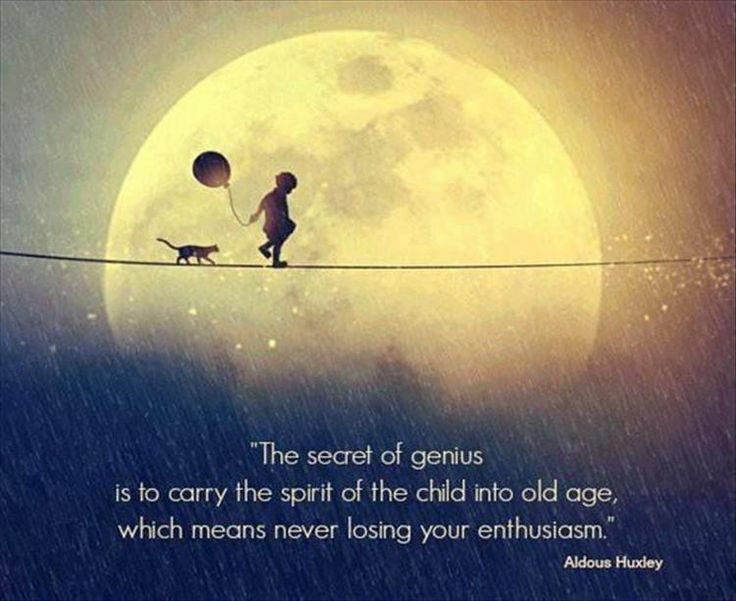 But my word of the weeks – and my word for the entire YEAR is ENTHUSIASM. And by George…or, by Jack – I want to be like a child in my approach to life. In the spirit of authenticity and NOT being self-conscious, I am less than a week away from my first-ever open-to-the-public event in Sarasota. I have 80 seats to fill and think that three tickets have been sold. Most of all, if you have the chance to sit it out or dance, I hope you dance!